It's been raining and raining and raining. 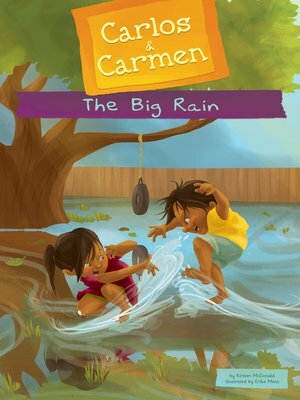 When the sun finally peeks out from behind the clouds, Carlos and Carmen find their entire backyard is one big puddle. But the twins don't mind once they discover it's not just a puddle of water—it's a puddle of fun! Aligned to Common Core standards and correlated to state standards. Calico Kid is an imprint of Magic Wagon, a division of ABDO.